Whether you’ve dabbled in AngularJS or even worked extensively with it, you want to upgrade your skills to move to the latest versions of Angular because that’s where the jobs are. In the past two years, the Angular team at Google released new versions so we have Angular 2/4/5, and in May of this year, Angular version 6.0.0 appeared. (In case you’re wondering, Angular 3 got lost in the development shuffle and like Windows 9 it basically doesn’t exist.) These TypeScript versions are sometimes lumped together as “Angular 2+” according to a Wikipedia article. But you can think of “Angular v2 and above” as “plain ol' Angular,” says Ted Neward, who is director of Developer Relations at Smartsheet.com and well-known as a presenter at Visual Studio Live! His interview, Angular Q&A: Components, Getting-Started Tips (and that 'Total Rewrite' Thing) in Visual Studio Magazine is a great place to start learning about all things Angular. Beyond that if you want to get up to speed on plain ol’ Angular, Neward recommended the resources available on the official Angular website. 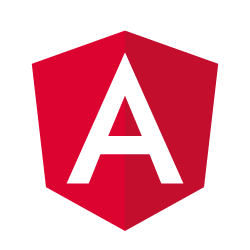 The Angular website provides links to a number of Integrated Development Environments (IDEs) designed to make coding easier with features like drag and drop. If you are creating on-line storefronts with Angular, AngularCommerce provides a framework for building e-commerce applications with Google Firebase. The Angular site says AngularCommerce provides a set of components that is design agnostic and allows developers to easily extend functionality. If you are new to TypeScript, you may want to start at the Typescript open source group’s website. It offers Quick Start with a five-minute tutorial as well as other documentation, downloads and a “Playground” with code samples. There are Angular how-to books listed on Amazon that you might want to browse. However, you could spend your time rather than your money on the Angular site and probably learn a lot. Beyond developing in Angular, you might want to check out Microsoft’s Blazor-based .NET technology, which stole the show at a recent VSLive! keynote by Scott Hunter, Partner Director Program Management, .NET, at Microsoft. Find out more about the futuristic Blazor technology in this article based on the keynote by David Ramel, editor of Visual Studio Magazine.